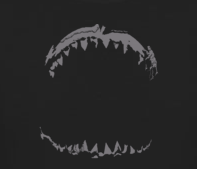 The image used at my first gallery, burst is an abstract image of a great white erupting from the ocean while the back features a solid version of the WSV logo. 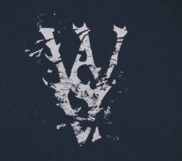 The WSV logo with a shattered look to it. Jaws on back with text "Shark don't kill people, I kill people."